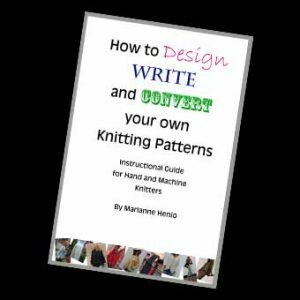 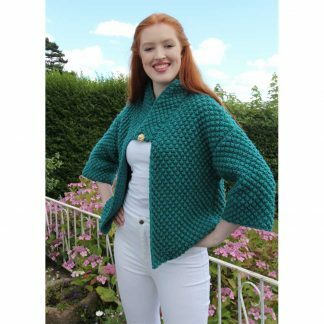 This original designer knitwear pattern from Award Winning Designer Marianne Henio is for the Lily Sweater. 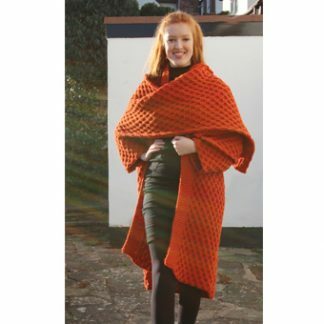 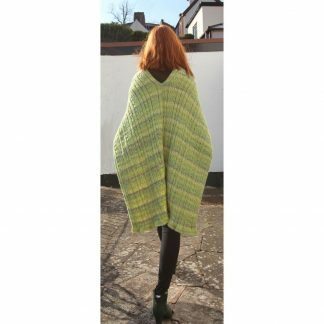 It is knitted in a 100% cotton double knitting yarn in garter stitch throughout. 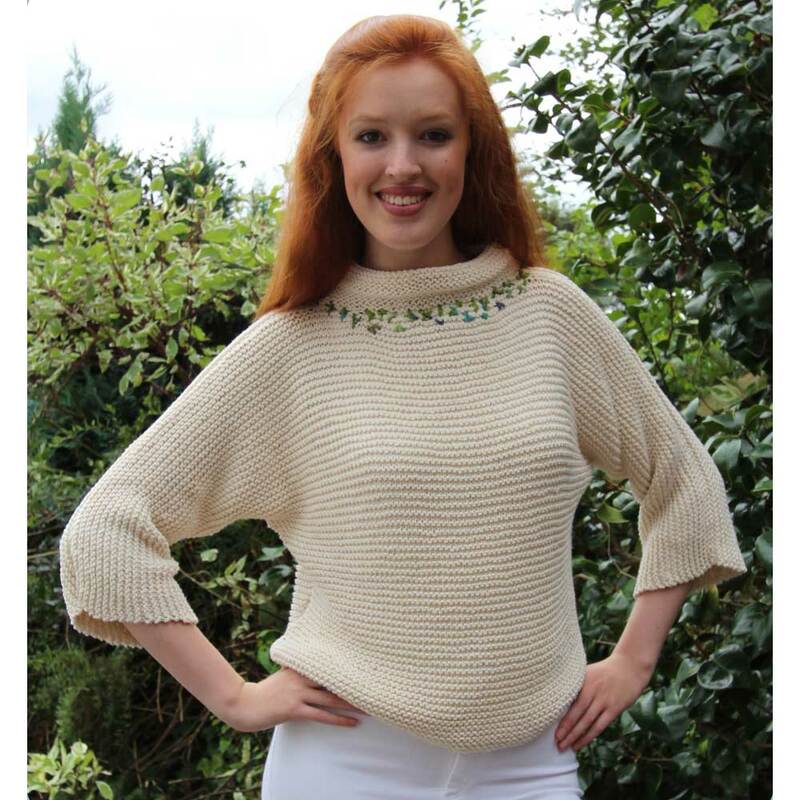 Both the back and front pieces are knitted in one piece. 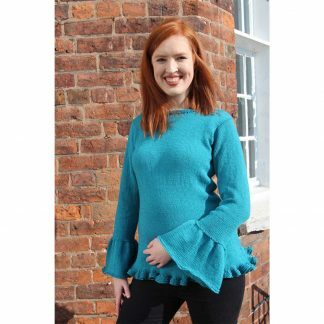 Marianne has added a touch of embroidery around the neckline, but this is up to you. The Lily Sweater is for intermediate knitters. 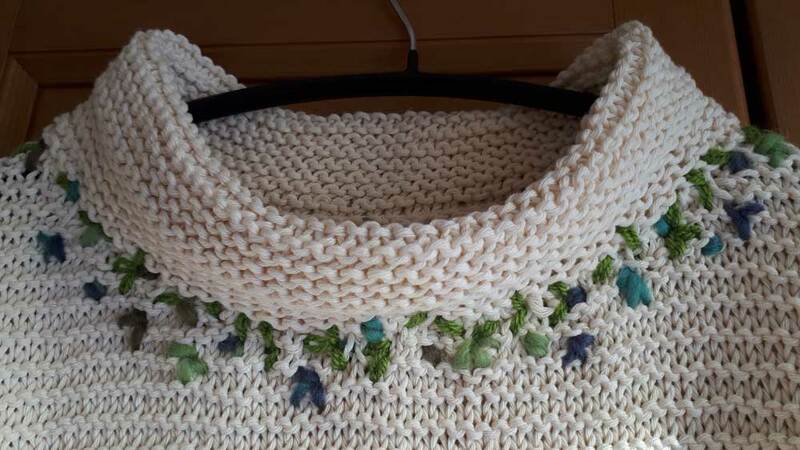 Yarn used: Drops Love You 5- 100% pure cotton in off white. 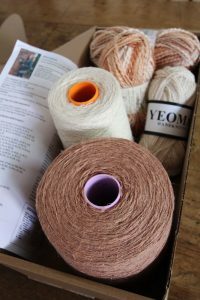 Total yarn used approximately S= 660g, M=750g, L= 870g. 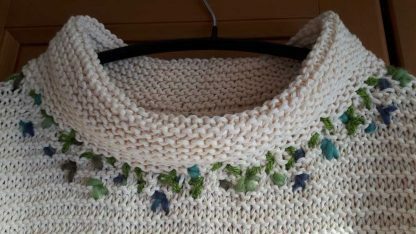 I used a few scraps of yarn in various greens for the embroidered neck.